There is no denying that email marketing is a powerful tool that is effective and result-oriented. Sending plain emails does not appear appealing to the recipient. Responsive email templates builder ensure that you can grab your potential customer’s attention with a professional and attractive looking email. Responsive HTML email templates are commendably used by online marketers to brand products or services online. 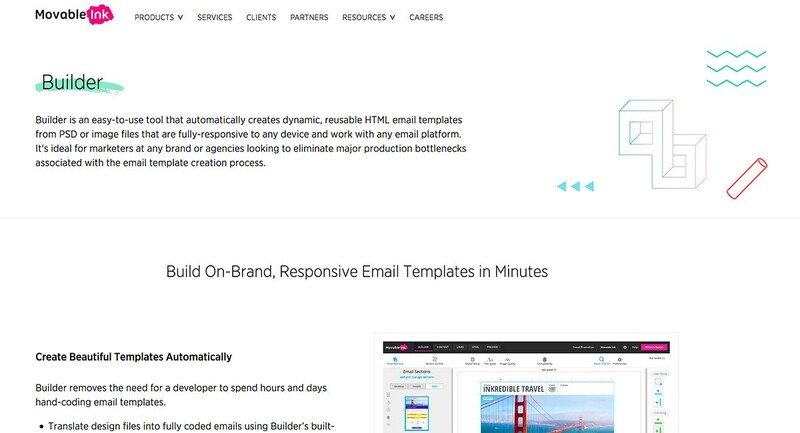 For an online marketer, responsive email templates builder can provide wondrous results. In order for you to make a progressive decision regarding your email marketing, we have gathered a list of best responsive email templates that you can definitely use to achieve better results. 5 Best Email Builders, Short Video Review. Even though it is a framework, it is known for its custom-built markup language that enables developers to build email templates. MJML’s main objective is to simplify the designing of responsive emails. You are enabled to write fully compliant HTML 5 markup that can be used with your email sending software. For your convenience, there are a couple of templates that can be previewed for the sake of experimentation or even production use. All in all, the open-source engine is responsible for generating best-quality responsive emails. It is a collection of various platforms and frameworks. It provides designers and developers with an ultra-easy CSS framework for the swift building of HTLM5 responsive emails. Each template starts with an already provided grid which can be enhanced by using different elements. Let it be business branding or e-commerce, it is a great platform that enables you to build responsive email templates free of cost. It provides an exceptional user experience without going through much hassle. There is no doubt that creating an HTML template can be quite challenging. Cerberus is proving itself to be quite useful in the email template creating expertise. 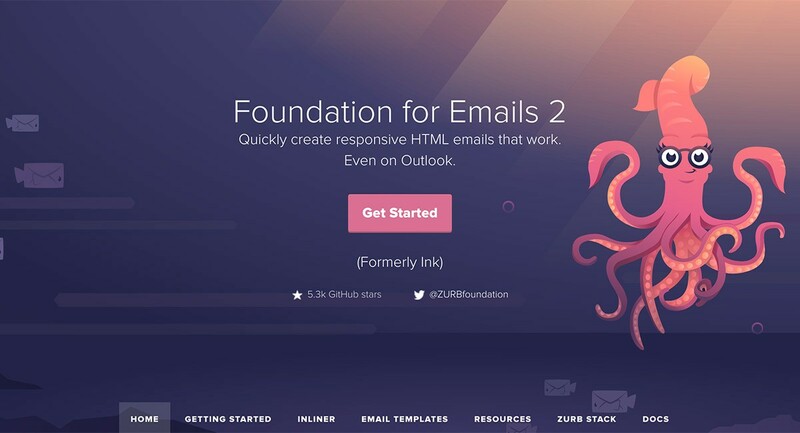 This highly regarded framework library provides great HTML email patterns to create an enthralling email browsing experience for your esteemed email subscribers. What makes Cerberus so likable is the fact that it lets you make your own adjustments by playing with the HTML code. It is an open-source markup language that is known for its remarkable responsive email building capabilities. It gives you the power of HTML and enables you to build emails in a complete hassle-free manner. It ensures that you don’t have to deal with any complicated email quirks or hitches by providing a super letting you take complete advantage of email marketing with fair ease. 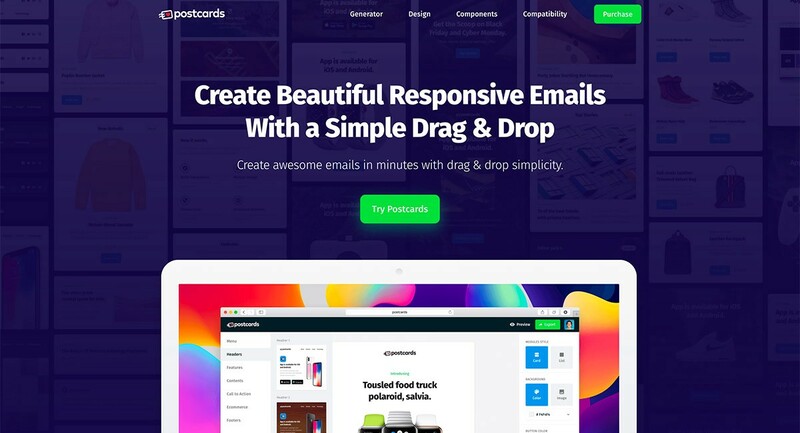 It is a dream come true responsive email templates builder because it empowers you to create truly remarkable, responsive HTML email templates within minutes (yes, in few minutes). You can even reuse template parts on your various campaigns for better customer engagement and lower conversion rates. It has built-in image conversion abilities that allow you to translate your designed files into coded emails. The main thing is that you can build responsive email templates in minutes and that too without having any previous knowledge of coding. 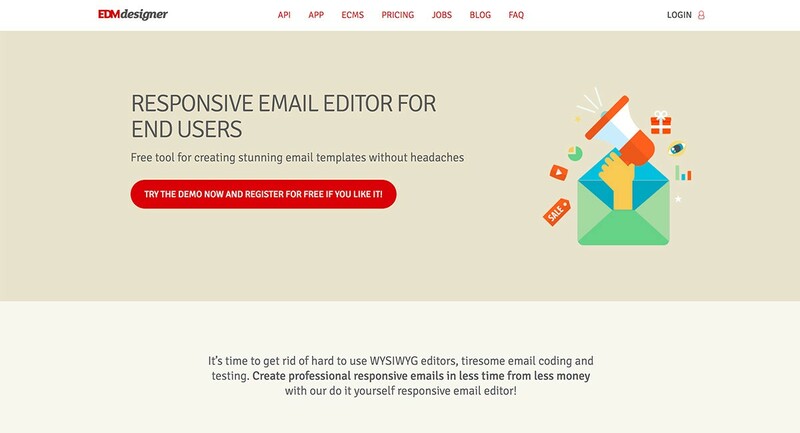 This template generator offers more than 70 components to designers and developers to create custom emails within minutes. 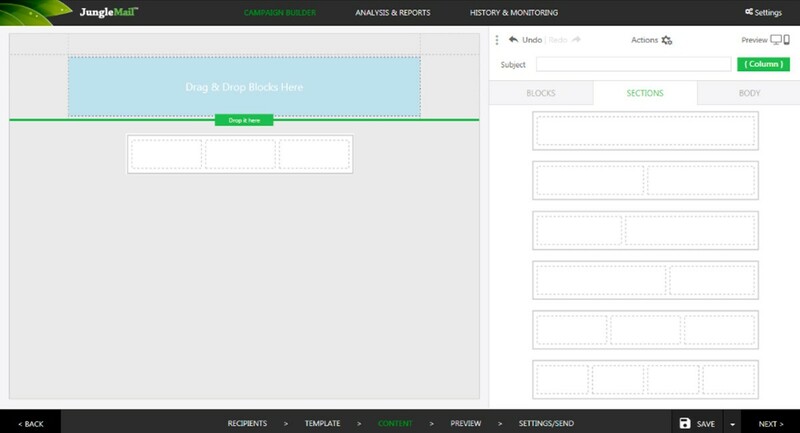 With drag-n-drop builder feature, custom colors, thousands of responsive designs, and modular system, it can be said that utmost simplicity is provided to the user. You can also preview your final design in desktop and mobile browsers. And thanks to the dozen of modules, you’ll have thousands of responsive design options as well. Needless to say, it surely knows how to provide convenience. 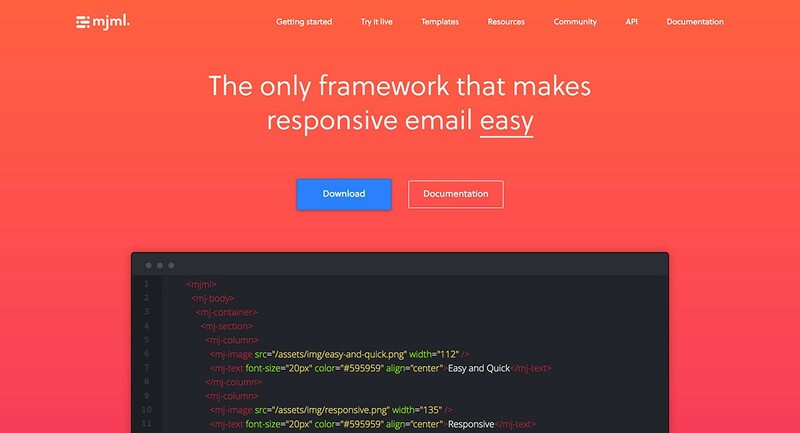 This Responsive email templates builder provides a blueprint builder that can be easily used to create a responsive email HTML code. 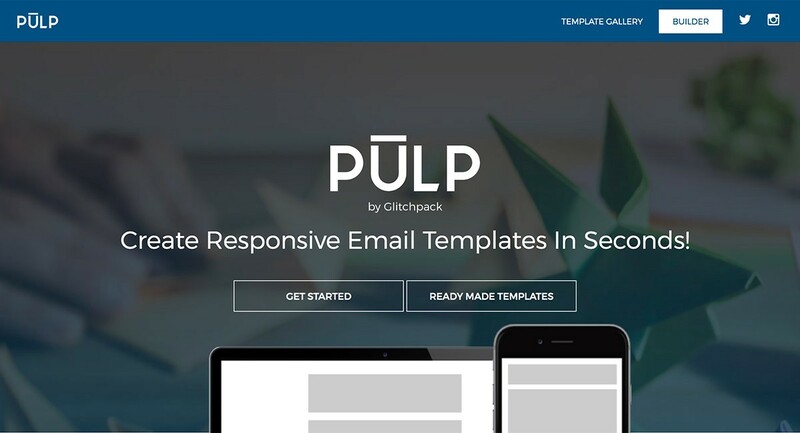 It is specifically designed for those developers and designers who are looking for a super easy-to-use email templates builder. 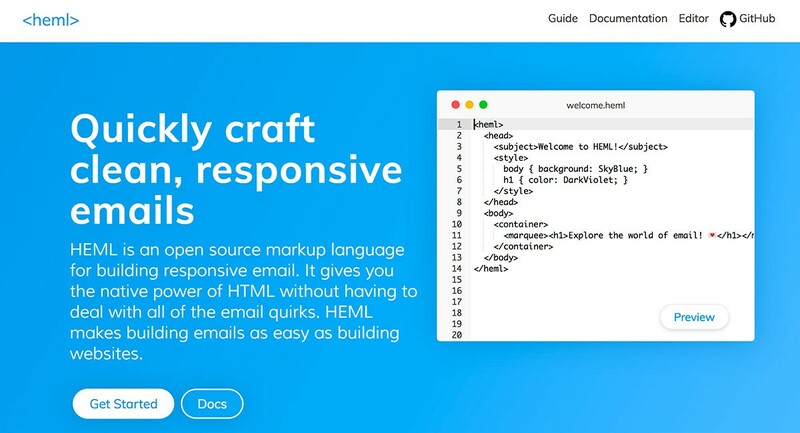 It is a Drag and drop interface email builder that is completely self-hosted — GetEmailBuilder is the latest entry in the list of most superlative email template builders of 2019. 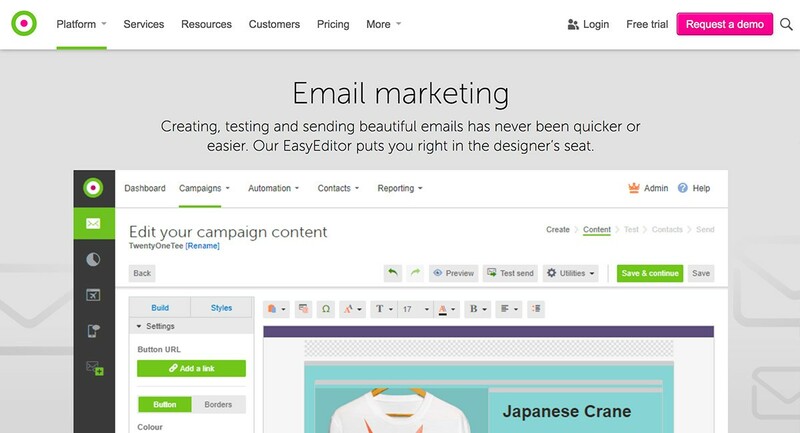 EDMdesigner has surely come up with a sophisticated and intuitive email building platform that can be used by designers to create best email templates to excel others in their field. Even though it has a drag-n-drop interface, what is more likable about EMDdesigner is the fact that there are a variety of templates that can be used to design magnificent viewing emails. On top of all this, you can also save your email templates such as branded header, news block etc. There are various email building tools in OctaneGo that enable the users to compose emails according to their preferences. With the help of the blueprint provided by OctaneGO, you get a chance to portray your creativity in designing emails that are utterly responsive and result-oriented. 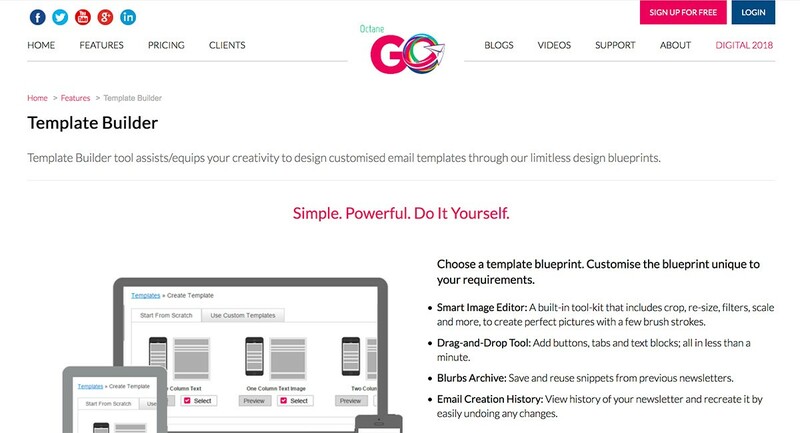 This easy-to-use email template builder offers fully customized colors & images, texts, fonts, and email design that permit the users to show their best creative work without the worry of facing any complications. 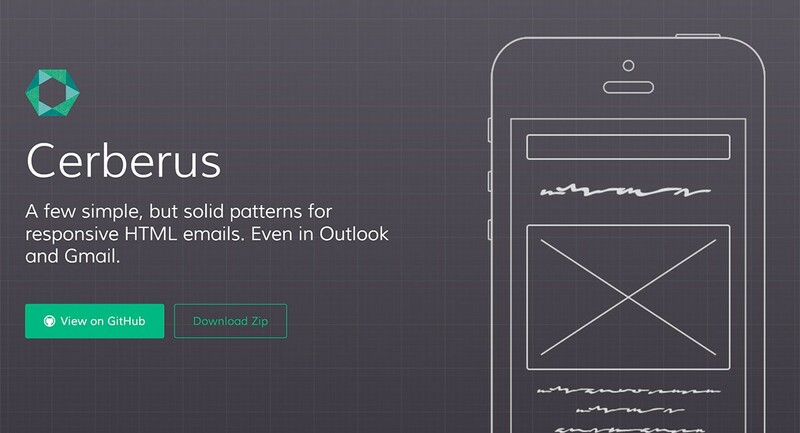 Just a few clicks and you’ll have different brand new email templates at your disposal. Don’t have any coding knowledge? 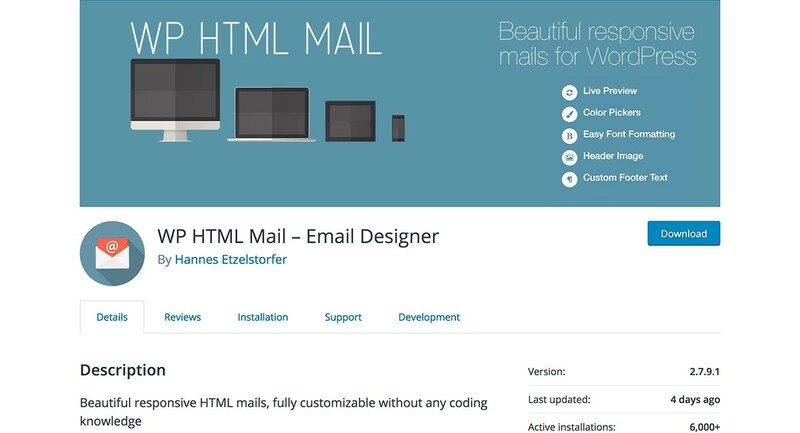 Well, you can create fully customizable HTML emails within few minutes with the WP HTML Mail email templates builder. It allows you to change texts, fonts, pictures, and alignment to create your own masterpiece. The live preview feature enables you to assess your work and make necessary modifications. Whereas, email formatting can also be turned on or off for different plugins. 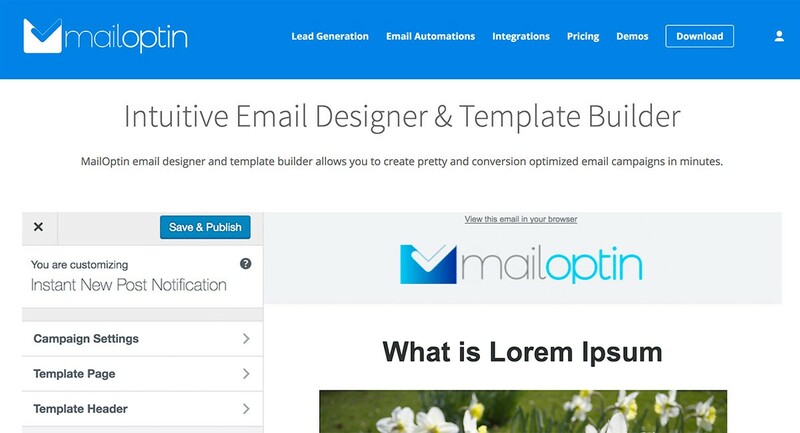 You can design amazing campaigns to target your audience with the powerful template builder and email designer of Mailoptin. All you have to do is to choose a template or a pre-built theme to get things working. It is super easy to use because there is absolutely no custom coding required. 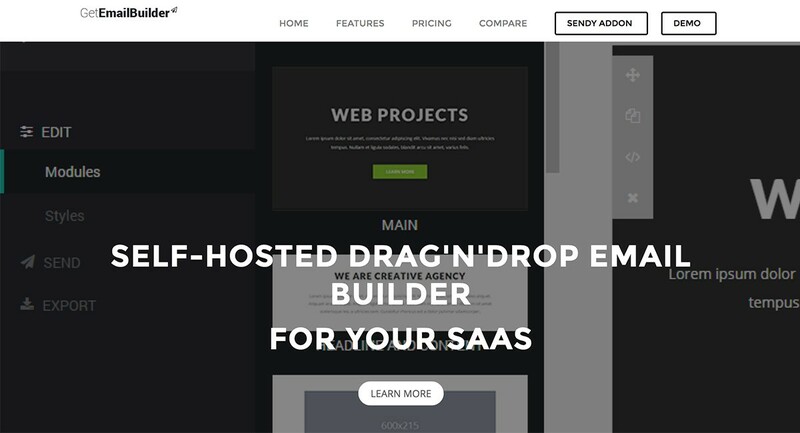 This drag and drop email template builder is known for its responsive email templates. 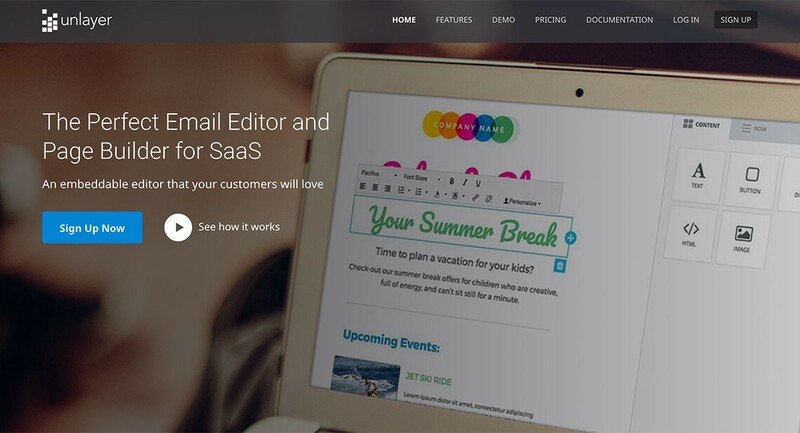 And if you are looking for best newsletter templates then you can easily create amazing email newsletters with this email builder — it offers 3 templates that can get things started in no time at all. 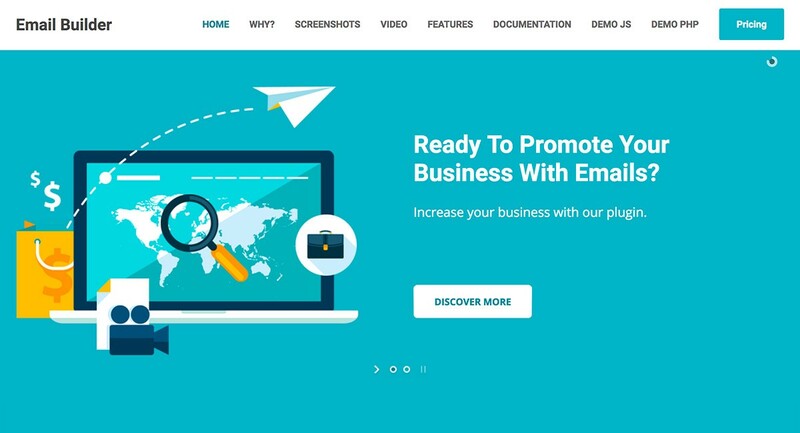 For those who are looking for a developer-friendly and powerful visual email builder, this one has all the traits to exceed your expectations. It is easy to use and provides a live demo to ensure that you use it without facing difficulty. It has custom tools that can be utilized to make your work more convincing. You can create colorful email messages and add texts and images to make your emails more persuasive. 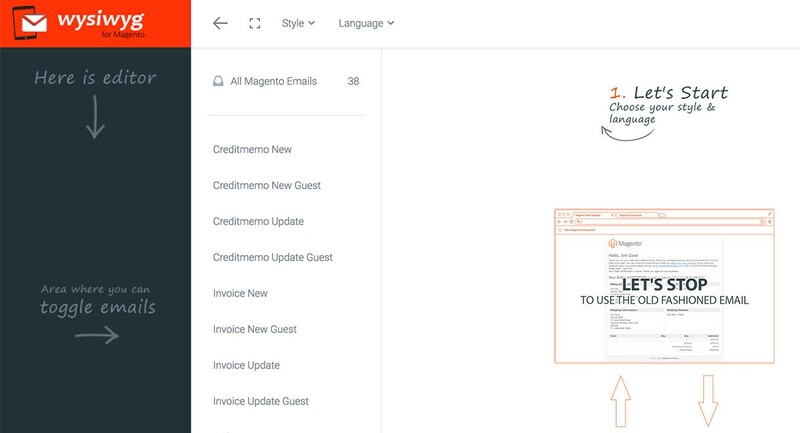 You can design absolutely stunning campaigns with this template builder because JungleMail allows you to make changes as required — you can delete, copy, or rearrange blocks as you wish. The most amazing thing about this email template builder is that it explains every little detail in such a comprehensive manner that you are ready to use it then and there. You can easily create emails and do test runs in no time at all. With the multi-variety testing feature, you can achieve double or even triple click-through rates. According to your preferences, you can personalize your emails and make them more persuasive for your audience. It offers you complete freedom to achieve desired results easily and quickly. All in all, it can be said with certainty that email marketing is highly effective for your business. You can spice up your email campaigns by simply choosing any responsive email templates builder in the aforementioned list. They all are highly capable of producing desired results and making your marketing campaign an absolute success. Take your time, play fair, and always keep striving for the best.